Exporter of a wide range of products which include casserole for household use and thermal food container. With an aim to attain maximum satisfaction of customers, we are engaged in manufacturing, supplying and exporting Casserole for Household Use. At our end, we manufacture these products with perfection in accordance with the industry set norms and guidelines. In order to cater to the various demands of customers in efficient manner, we offer these casseroles in different sizes. 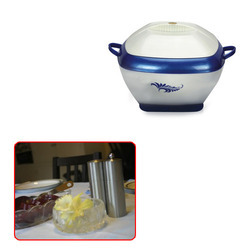 Thermal Food Containers are very useful in carrying hot food from microwave oven to dinner table. 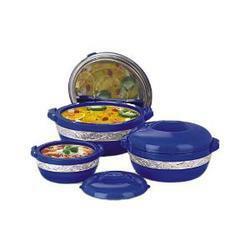 Thermal food containers also keep food warm for a longer duration of time. No reheating is requied in Thermal casserole as it saves precious nutritional value of food.